Felt great to arrive. The airport was so organised and people so helpful. It was pleasure to soar ir seeing the green coast line and islands. To the main city you can catch bus A21 for 33HKG. This will take you to Kowloon. 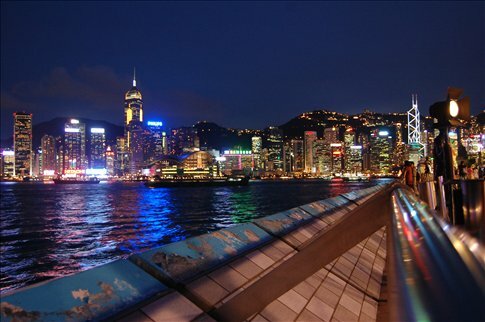 Mong Kog is great main area.. Tsim Sa Tsui(or like it) is the main tourist spot. Here you can enjoy shopping, the harbour, Ave of Stars, museums, ferry rides.. Careful or you will loose you wallet from the shopping alone. Fun though is the light show they have each day at 8pm. The cable cart and giant Buddah were fantastic. How can I not mention the temples and FOOD! Its a cool, vibrant, organised, busy city. We love it for a city... We did our China visa from the city CTS on 23 Nathan rd. Look for red sign says 'China tour VISA'. There are many everywhere so look up the nearest office to you. If you don't go to Beijing on the application then you don't need to prebook any hotels. Cost 370HKG. Takes 4 work days (can be faster if pay more). Currently they only issue 30day visas. Train to Shanghai or Beijing can be bought from the same place. To Shanghai cose 460HKG approx. The trains only leave on alternate days.